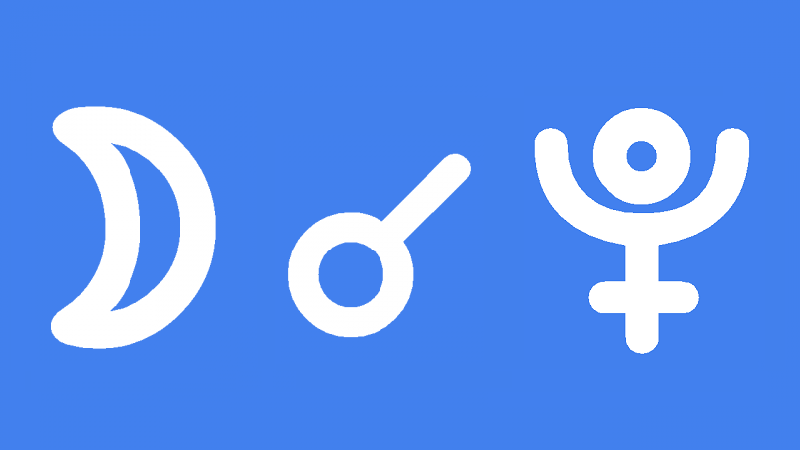 Moon conjunct Pluto in the natal chart gives an intense and dramatic emotional life. You feel things so deeply that it is sometimes hard to control how you react to people and situations. You also experience extremes in moods and a tendency toward serious and sometime dark moods. Your emotions and reactions are also strongly influenced by your powerful intuition. Dreams, visions or psychic impression are often extremely vivid and profound. By nature you have little control over your subconscious but your feelings and intuition can take control over your conscious intentions and actions. In a dark mood you may become overwhelmed by fear and paranoia. Believing that others are trying to control you, it is possible for you to subconsciously control them. Such behaviors as manipulation, lying and intimidation may follow. Emotional manipulation is most likely to at home when you are growing up and in intimate relationships, particularly with women. If your mother was prying, manipulative or over-bearing then you would have learned such controlling behavior. If so, undoing this subconscious brainwashing is a major priority and a necessary task, before you can enjoy healthy relationships. Thankfully, your powerful subconscious has tremendous powers of regeneration and transformation. You can easily learn psychological self-analysis and other techniques for accessing deeply buried memories and feelings. Meditation, astrology, dream work and past life regression are some more natural ways to positively transform sinister emotions or destructive behaviors. Your powerful subconscious is capable of amazing things. You can make things happen with the power of your mind. Transiting Moon conjunct Pluto brings such deep feelings that they can overwhelm you. A personal interaction or event may trigger a memory or emotion buried deeply in your subconscious. You can even become obsessed about your feelings and have trouble focusing on anything else. Dreams, visions, psychic impressions or intuitive insights may have a profound influence on your mood. This would be a good time to consult a psychologist or psychiatrist, or even have a deep and meaningful talk with someone very close. Interactions with women will be particularly intense and revealing. You can access your true feelings and discover someone else’s true feelings about you. Take care not to react too strongly to overpowering feelings. Your intuition may be correct but could obscure your rational thought processes and conscious judgement skills. Also take extra care with any obsessive or addictive behaviors you already have. Once you get started on something you find emotional fulfilling you may have trouble stopping. In relationships you may encounter controlling and manipulative behaviors like jealousy, guilt tripping, threats, intimidation, violence or self harm. Remove yourself from such negative and destructive people and environments. You can transcend your own challenging emotions and behaviors through meditation, self-analysis, or other technique to understand your feelings. This interpretation for Moon conjunct Pluto transit applies to a lunar eclipse and full moon conjunct Pluto. Wolfgang Mozart 0°02′, Danilo Kis 0°27′, Heinrich Caro 0°34′, Mary Tyler Moore 0°39′, Brian Eno 0°41′, Emile Zola 0°45′, Rollie Fingers 0°59′, Ross Perot 1°00′, Jackie Weaver 1°06′, Roman Polanski 1°23′, Algernon Swinburne 1°23′, Karen Carpenter 1°59′, Ringo Starr 2°06′, Amelia Earhart 2°24′, Mark Twain 2°39′, Pierre-Auguste Renoir 2°39′, Lleyton Hewitt 2°42′, Francisco Franco 2°55′. It’s in a separating aspect as a transit for me. Yes, I have had to deal with some major mood swings and also feel somewhat trapped. It is very intensive and hard to take control of your own emotional life. I hope as we get older we will feel better. Interesting, feel better. uhm. Just peaking for me right now in leo. I m older. much older. I will meditate on whether i feel better. I painted the cupboards, reestablished the position of my music and its quality ie speakers, and put a red light under a satan shade and rushed off for a reiki treatment once i opened my Transformation book and saw that word. It was really really hard to relax and let the Universe Heal as the Japanese woman instructed. Eventually it happened. But the mouth kept moving right after and then i ran off to do a drive through and stopped at thrift store moving through and on my way out grabbed a T shirt and quess what it said when i looked later. I intended it for yoga classes. It said Awake my soul with the sun, Awake my heart with Love. Wow hows that for intuition. Got some yoga practice in and ran into my neighbour and her brother and again my mouth just took off. I dreamt of my Aquarius moon freaking out at all the tech in my domestic space. I couldn’t hear myself on the phone and the switch to turn it all off didn’t work. I don’t think my taurus in nature side likes that. So feel better. Well pluto s there so is it the masses that need to feel better?